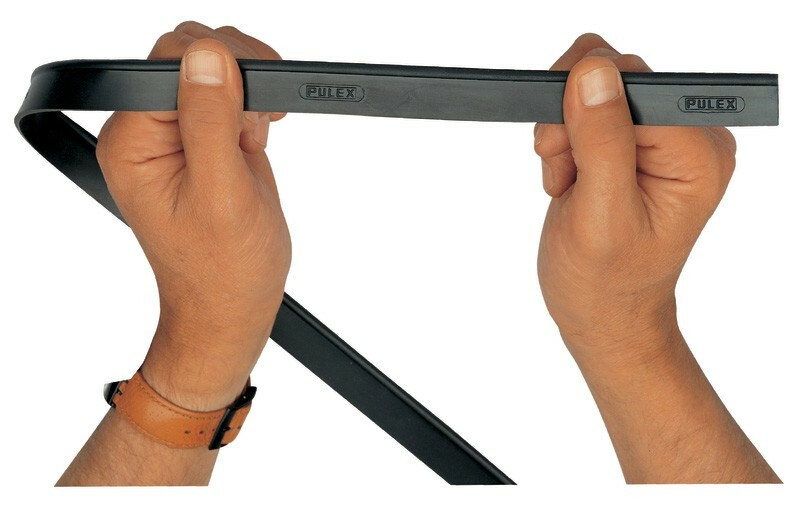 Professional grade replacement hard rubber squeegee blade. The edge of the rubber is key to success, and genuine Pulex rubber is used for its grip and adherence for a streak-free finish. The rubbers are laser treated throughout manufacture. No chips, cuts or blemishes. Can be cut to size to suit your squeegee.